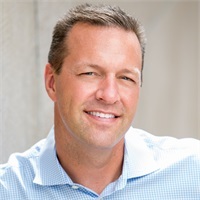 Much of Doug’s business career was groomed from his college athletic experiences and leadership while playing for legendary coaches Dean Smith and Roy Williams at the University of North Carolina and University of Kansas respectively. During this time, the teams were ranked #1 in the country three of his four years. The lone year; Kansas lost in the national championship game in 1991. Athletics enhanced numerous life lessons and the need for achievement, competitiveness and optimism in the form of resilience. He received a Bachelor of Science/Economics from the University of Kansas after studying at the University of North Carolina. Since 1992, Doug began advising clients on financial management and investment planning, asset allocation and management, retirement planning, and debt management. His consulting experience comes from working with corporations, endowments, and high net-worth individuals in meeting their stated financial goals. He has worked with only one company since college. Doug Elstun is an advisory associate of Crossroads Financial Management. Please see adviserinfo.sec.gov for a full report of Doug’s background and qualifications. Doug has been quoted in Yahoo! Sports, Sports Business Journal, New York Times, and the Kansas City Business Journal, as well as a speaker at the Kansas City Chiefs financial education and 401k seminars, athletic camps, financial symposiums, and schools. He has been an active member in the charitable community working with the Sproles Empowered Youth Organization, Liberty Fruit Golf Tournament to benefit Children’s Mercy Hospital, Drumm Farm Center for Children, Paul George Foundation, Twelve Starz Foundation, Fellowship of Christian Athletes Kansas City Advisory Board, and the Will2Succeed Charitable Foundation. He has also worked within Operation Breakthrough, Kansas City Rescue Mission, Children’s Mercy Hospital, and coaching both inner-city and suburban youth basketball teams. In 2014, he founded the Crossroads Donor Advised fund aimed at supporting underprivileged and ill youth. In search of the next “bucket list” opportunity, Doug has completed the New York Marathon, Escape from Alcatraz, and a few half marathons. Additionally, he stays active in the Kansas City basketball community by serving as a radio and television analyst for high school and college broadcasts.